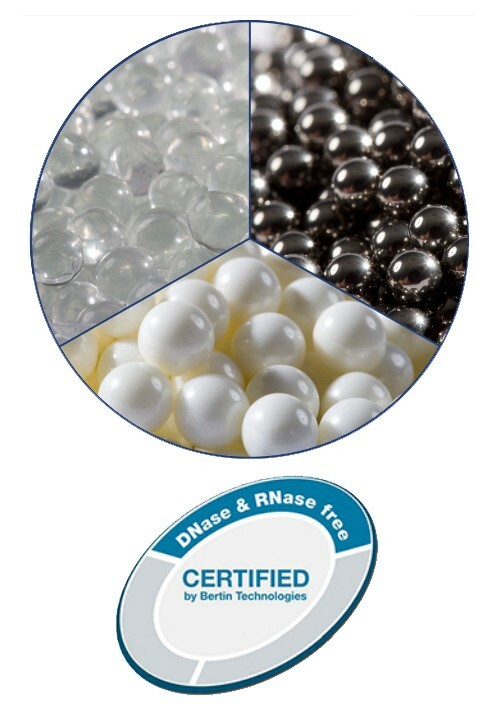 Precellys® Lysing kits | Tamar Laboratory Supplies LTD. Brain, liver, heart, muscle, skin, kidney, lung, spleen, colon, faeces etc. Also pulverization of difficult tissue samples such as bones, hair, cartilage, etc. Whole organs can even be prepared thanks to 7ml Lysing Kits. Leaves oats, tomato seeds, cotton, soil etc. Also pulverization of hard materials such as seeds, roots, rice etc. Large samples can also be prepared thanks to 7ml Lysing Kits. Small beads facilitate the crushing of micro-organism walls. Yeast, fungi, spores, mould, bact. gram+/gram-, mycobacteria, cyanobacteria, algae etc. 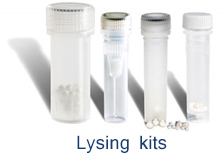 0.5ml Lysing Kits are especially suited to small sample amounts.